This fantastic, extra strong permanent glue tape is a massive 22m (72 feet) long, so no need for fiddly refills. This amazing value, super strong double-sided adhesive is suitable for use on all types of paper and card, and is strong enough to even make boxes! This comfortable, easy-to-grip glue pen can be applied in straight or curved lines and is mess and hassle-free. Showing 3 of our total 5 reviews, with an average rating of 5 stars. 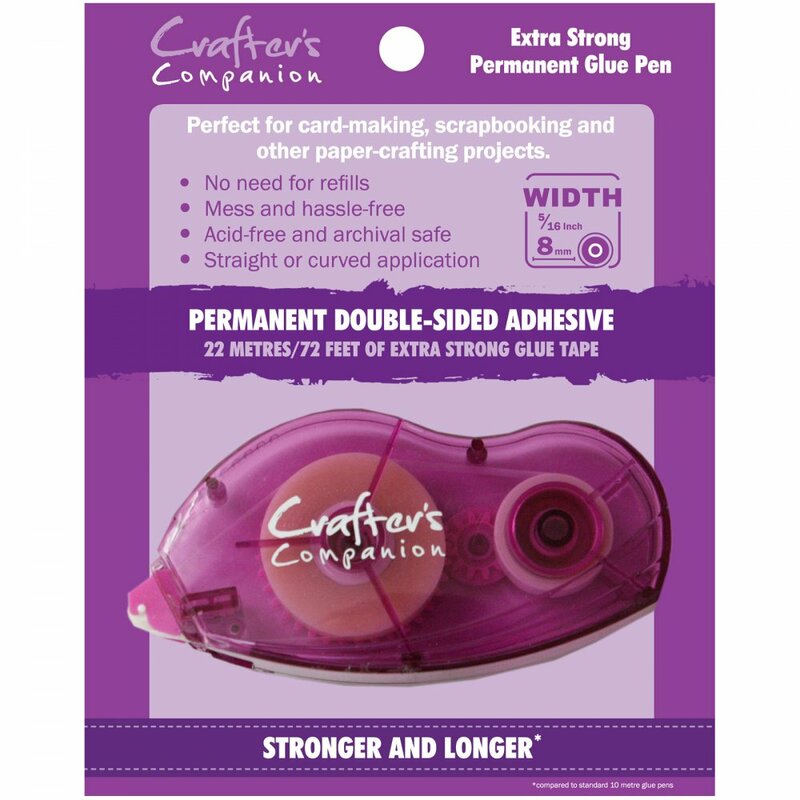 Read all 5 reviews for Crafter's Companion Extra Strong Permanent Glue Tape Pen***. This Crafters Companion glue tape pen is one of the best on the market in my opinion. I have used many others and find this one to be the best value, excellent 'sticking ability' and very good casing for the glue tape. We used this glue tape for our wedding invites and it worked a treat! Easy to use and apply. It's also very accurate and doesn't leave a messy finish like runny wet glues. Only comment really is that even 22m doesn't go far so if it's a big project order some spares in!